In this vast palace of art on Trafalgar Square, the grand tradition of European painting is proudly on display. 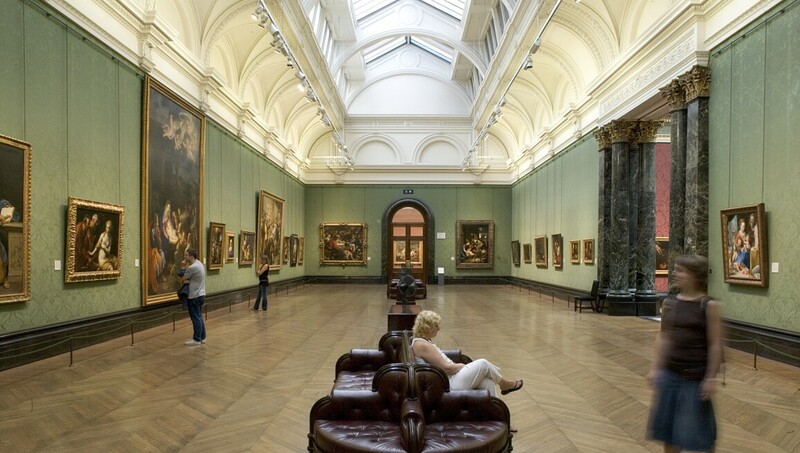 One of the world’s great national collections, it was founded in 1824 under the auspices of the House of Commons, with the belief in art’s edifying virtues for all classes of society. The focus of national pride for centuries, this museum has benefited as heir to many of England’s important collections. Thus, there are no shortages of masterpieces among the 2,300 works on display from the 13th century through the early 20th century.